8 DAYS GUIDED CYCLING HOLIDAYS IN PUGLIA, SOUTH OF ITALY. 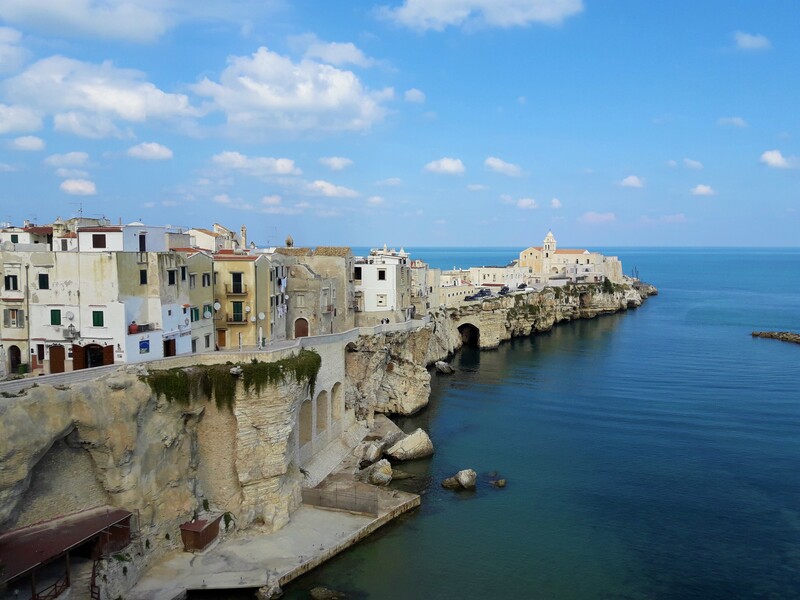 This tour is designed for those who like to explore the cuisine, culture and history of Apulian region, while riding through the amazing hilltop towns, seaside ports. A focus on getting away from the crowds and into the real Southern Italy, with selected authentic accommodation. Route Profile: Moderate. Flat to hilly terrain with some gentle climbs and descents. Average length of steps: 53 to 74 km per day. Roads are 90% asphalted, few back roads not asphalted. DAY 1: Welcome in Puglia! We will meet at Bari Airport, presentation and transfer to your accommodation in Matera. Recognized by UNESCO as a World Heritage Site, Matera is unique in the world because the original town was dug into a canyon. Its caves were inhabited up until the late 1950s. This city has been used as the set of many movies including Mel Gibson’s ‘The passion of the Christ’. Matera is also a lively city, and is also awarded the title of European Capital of Culture for 2019. Presentation of the itinerary, Dinner (D) and Overnight stay in Matera. Cycling across the countryside between Basilicata and Puglia. Today our destination is Alberobello. The Unesco site of Alberobello, is undoubtely the Capital of the Trulli: its historic center is integrally constituted by these rather particular white, pyramidal structures that make it so famous and identifiable. The best way to experience Alberobello is getting lost in the cluster of white, dry stone huts, unique in the world. Visit an organic cheese factory set in the middle of a stunning landscape among grazing cows, olive groves, and almond trees. Savor a cheese tasting that will include mozzarella, provolone, and other local specialties (light lunch). Dinner at typical grill restaurant . Overnight stay in Alberobello. Round trip from Alberobello crossing the Itria Valley (a sub-region situated between Brindisi, Taranto and Bari, it’s also known as the trulli Valley), in a bright landscape of vineyards, olive groves and vast gentle slopes. Before return back to your accommodation you will have the possibility to admire and tasting Capocollo, a typical cold cut of Apulia region and Slow Food Presidium, directly in company (light lunch). Overnight stay in Alberobello. DAY 4 : Alberobello – Manduria by bike (Primitivo wine tasting) – Transfer service from Manduria to Gallipoli. From Alberobello crossing Ceglie Messapica, we cycle up to Manduria. Founded by the Messapians, still bears vestiges of its ancient past, including: the megalithic walls, the remains of the moat and the necropolis. Here we will stop to one of the oldest cooperative Winery of Puglia, for tasting “Primitivo wine of Manduria” and other typical products (light Lunch); we will visit the museum of primitive wine and admire the old works machines. After a little transfer you will reach the nice city of Gallipoli. Overnight stay in Gallipoli. Today’s destination is Leuca the southernmost tip of Puglia. The stage starts from Gallipoli the “beautiful city” in Greek, a very charming and lively holiday destination. not to be missed the old town with its ramparts and defensive walls around a kilometer and a half, to defend the city against attacks from the sea. Along our journey we will stop for local pic-nic, before arriving in Leuca. Here you can admire “the meeting” between the Ionian Sea and the Adriatic Sea, and lighthouse and sanctuary welcome you at the end of the day. The sanctuary of Santa Maria de Fini- bus Terrae, located on a promontory within walking distance from the lighthouse, with its height of 48.60 meters and its location at 102 meters above sea level, is among the most important in Italy. Overnight stay in Leuca. Today, the sea will be the leitmotif of the journey. You cycle northwards along the Adriatic coast to Otranto, the top eastern point of the Italian, and a city that was for centuries the meeting point of different cultures and the crossroads between the Mediterranean and the Orient. Enjoy peaceful panoramic overview: nestled among the cliffs above the sea, this road is a huge balcony that looks onto Adriatic sea. The sea is extraordinarily beautiful, a sparkling blue. The rocky bays where one can dip, are a continuous temptation difficult to resist. Before to arrive at Otranto famous for its beautiful Cathedral and the great Aragonese Castle, we stop for a delicious meal at an excellent seafood restaurant overlooking the sea. Overnight stay in Otranto. The final step will take you up to Lecce, one of the most elegant and refined towns of southern Italy, including its Baroque churches, noble palaces, and the Roman amphitheater. Pedal along the Adriatic coast, through the Alimini Lakes and their unique Mediterranean bush, to reach “the Florence of South”: Lecce. Halfway you will meet Acaya, a charming town characterized by massive and impressive walls, towers and walls built in order to protect the coast and the hinterland against the incursions of the Ottoman Empire. Enjoy a typical lunch in Lecce. Overnight stay in Lecce. Breakfast (B) and then transfer service to Bari or Brindisi Airport. End of the tour! See you soon and thank you very much from “Italy Cycling Tour“. Other hotel with 3⁄4 stars in Matera with B&B arrangement. Other hotel with 3⁄4 stars in Alberobello with B&B arrangement. Other hotel with 3⁄4 stars in Leuca with B&B arrangement. Other hotel with 3⁄4 stars in Otranto with B&B arrangement. 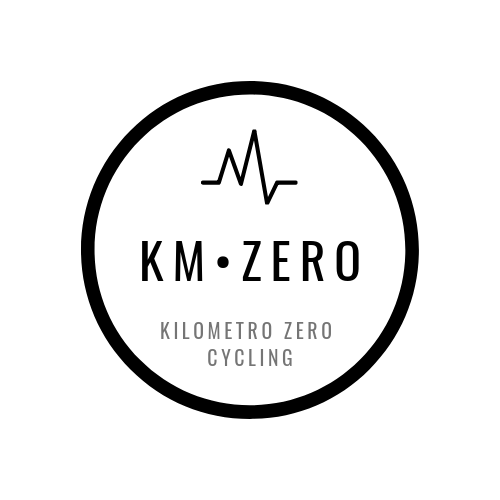 For more information and details about the route and the full experience, please send an e-mail to: info@italycyclingtour.it using the code KMZERO2.